EN “Berlin – Dresden General Music Director Fabio Luisi sees the German orchestra landscape acutely threatened. ‘Orchestras are facing not just a silent crisis, but much worse, a general challenge.’ It is ‘absurd’ to endanger orchestras by downsizing, mergers or closures. ‘Some simple minds even ask why we need orchestras.’ Music in Germany is severely affected by ‘uncultural’ social changes, Luisi said on Monday at the beginning of the first international orchestra conference in Berlin. 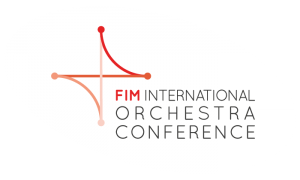 DE “According to John Smith, President of the International Federation of Musicians (FIM), orchestras are part of a globalized world. International tours and the various nationalities represented in orchestras make them unique ambassadors of dialogue between cultures. Klassik.com, Bilanz der ersten internationalen Orchesterkonferenz, Orchester sehen eigene Zukunft positiv, 15/04/2008.